1. Make sure you are viewing the result you would like to print. 2. 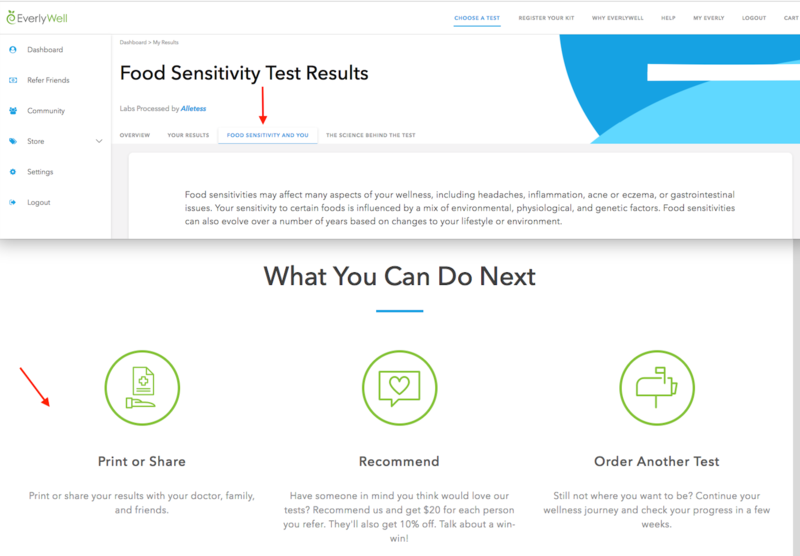 Click the tab "Food Sensitivities and You" on your dashboard. 3. Scroll down until you see the "print or share" option.